Winter Haven — On Saturday, September 22, 2018, Polk County Sheriff’s Office deputies responded to an animal cruelty investigation at 4073 Mahogany Run, Winter Haven. According to a press release, two people heard what sounded like a dog “yelping” coming from a dumpster behind an apartment complex. One of the Good Samaritans jumped inside the dumpster and pulled out a sealed trash bag. The bag contained a live Chihuahua wearing a pink collar. Animal Control responded and discovered a microchip implant on the pooch, which was registered to 41-year-old Shawkimo Anderson. Following a canvas of the area, deputies found Anderson near-by. 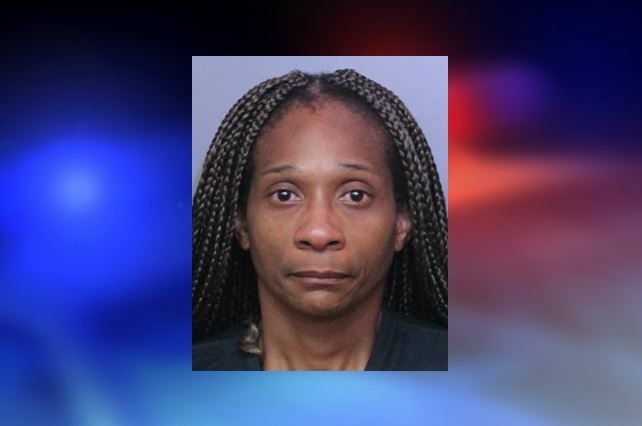 Anderson told deputies that she had given her dog “Diamond” to a lady two months ago. Anderson then retracted her story and admitted to sealing the dog in the trash bag and putting it in the dumpster. She said that she could no longer afford to care for the dog. Anderson was arrested and charged with Aggravated Animal Cruelty. She was released from jail on a $1,000 bond. Sadly, on Tuesday, the PCSO announced that the dog had died. A necropsy will be done to determine the exact cause of death. “I don’t know how anyone could do this to a pet. This woman stuffed an innocent creature into a bag and left it to die when all she had to do was give it to someone or surrender it to Animal Control, no questions asked. Because of her selfish action, the dog has now passed away. I commend the people who did their best to try and save her,” Said Sheriff Grady Judd. Anderson had owned the dog for four years.